The U.S. Supreme Court will not hear arguments in Osage Wind LLC vs. Osage Minerals Council, thus setting the stage for the tribe to potentially collect damages from a controversial energy project. As part of its Jan. 7 order list, the U.S. Supreme Court denied a petition from Osage Wind, Enel Kansas and Enel Green Power North America for a writ of certiorari. The energy companies were challenging a 2017 decision by the 10th Circuit Court of Appeals that overturned a ruling from Northern District of Oklahoma, which allowed the construction of 84 turbines across 8,400 acres near Burbank, Oklahoma, without a mining permit from the Bureau of Indian Affairs or approval from the Osage Minerals Council. The justices did not elaborate in the order list on the decision to deny certiorari. As per the court’s standing rules, at least four judges have to vote at a conference meeting in order for the full court to hear oral arguments in a case. Despite friend of the court briefs from the American Wind Energy Association and the Osage County Farm Bureau in support of Osage Wind, the U.S. Solicitor General filed a brief in December encouraging the court not to take up the case. When reached in the decision’s immediate aftermath, Osage Minerals Council Chairman Everett Waller said he was very happy about the ruling and its impact on the mineral estate. “This is a substantial victory for tribes, and more generally, mineral property rights owners,” Waller said. A spokeswoman for Enel Green Power America, the parent company of Enel Kansas and Osage Wind LLC, declined to comment on the Supreme Court’s decision or its impact on the wind farm. With the higher court’s decision to not take up the case, the 10th Circuit Court of Appeals’ ruling in support of the Osage Mineral Council stands. In its unanimous decision, a three-judge panel with the 10th Circuit Court dismissed claims from Enel and Osage Wind’s attorneys that their clients were not mining while digging the turbine’s foundation pits because they left the limestone, dolomite and other excavated minerals where they found them, albeit in a different form. The appellate panel also set aside arguments that the Minerals Council waited too long to voice its objections. 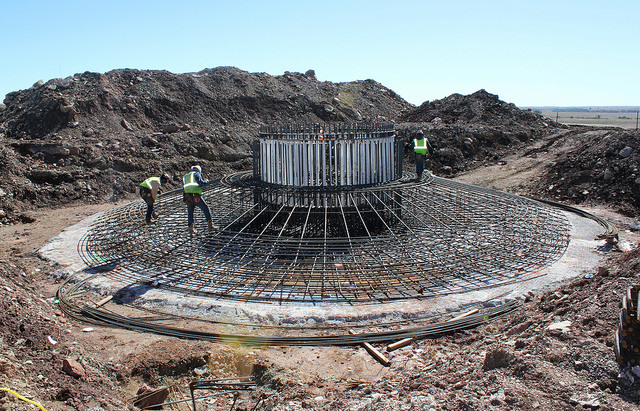 The council filed a last-minute intervention after its federal trustee, the Department of Interior, did not challenge a lower court’s ruling allowing for turbine construction to proceed. 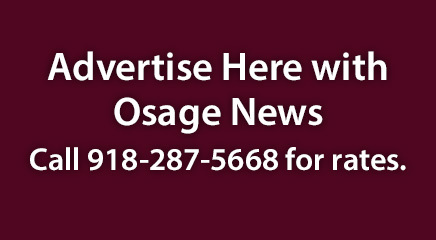 The decision also means the Osage Minerals Council and its trustee, the federal government, can potentially seek damages for the unauthorized mining activity conducted within the county. However, thanks to the partial government shutdown, the federal court system is projected to run out of carryover funds by Jan. 11, thus further delaying the recovery timeline. As of Jan. 7, judges with the Northern District of Oklahoma have already issued stays in almost 20 civil cases that involve either the federal government or one of its employees. The United States is listed as a plaintiff in the council’s lawsuit, but as of 1 p.m. on Jan. 7, no such order has been issued and no hearing schedule has been set yet.